I WAS ASKED once why I always pack my bags on weekends to endure exhaustion, face harsh weather and rough terrains, all for the brief glory of standing on top of a mountain. But our country is blessed with many beautiful mountains. They may be intimidating at first but they reveal awe-inspiring sights to those who dare. To me, here are some of the country’s most stunning peaks. I think it is just right to pay homage to the grandfather of Philippine mountains by placing it on top of my list. Mt. Apo, at 2,954 meters, is the highest in the country, and that is not all it boasts of. Climbers are treated to a variety of terrain like mossy forests, the crater lake, Lake Venado, the swampland and Agco River. The highlight for me was bouldering our way up to the summit. The first peek was actually dramatic. After negotiating for hours in the mossy forest on the second day of our climb, I gasped upon seeing a different scenery, all those rocks of gray. It was both daunting and stunning. Bouldering was difficult, especially with the stench of sulfur wafting in the air, but it is really a unique sight. Plus, we got to pick and eat wild berries. After this, the reward was standing on the country’s rooftop. We got a good peek into the vast surroundings and a few photos before it started to rain. Then, we were on our way down on a different route, leading us to the famed Lake Venado and Agco River. Mt. Kanlaon, my most recent conquest, is the highest in the Visayas. This mountain is actually special to me since this is like a home mountain for me. My mom is from Negros where I spent a few vacations staring at this mountain. Mt. Kanlaon is an active volcano with an elevation of 2,435 meters high. It was a three-day hike along Mapot-Mananawin Trail. We arrived in Canlaon City the night before so we started late on our trek the next day. We were delayed in our itinerary, leading us to an e-camp at Makawiwili Peak, one of the volcano’s peaks and often used as a vantage point in monitoring the volcano’s activities. A few of the boys decided to go on a bivouac which they regreted the following day after the freezing cold. What was good about it was we were all up early to view the sunrise. The next day, it was a relaxing trek to the saddle camp, which has an excellent view of the Margaja Valley, a large caldera and our summit assault.We went in the afternoon after resting, which was a bad idea because we got only a few seconds of clearing. The trek down the next day was a different story. Although we got a good view of Canlaon City from the trail, it was slippery all the way down. Benguet Mt. Pulag, I think, belongs to a list of things to do before you die. This mountain is very popular even to those who are not into mountaineering, probably because of the lure of being able to stand on top of the clouds. Mt. Pulag is known for its sea of clouds. Freezing and waking up to catch the sunrise are all part of the experience. Before sunrise, climbers are already in the summit, praying for clearing and waiting for that first peak. Not all climbers are lucky to be blessed with a good clearing and a sea of clouds. On the descent from the summit back to the campsite, climbers get to enjoy more sights, including Mt. Pulag’s grasslands and dwarf bamboos. Mt. Pulag is almost an annual expedition for me since I started getting serious about this hobby in 2007. My first attempt at this sport was in 2001. Writer Aldous Huxley said, “My father considered a walk among the mountains as the equivalent of churchgoing.” That is Mt. Pulag for me. Mt. Talinis’ sights are almost unreal. The sulfur forest evokes an unearthly feel with its forest of dead trees covered in white. The twin crater lakes of Balinsasayao—Lake Nailig and Lake Yagumyum—are magical. The trails, with Mt. Talinis’ very diverse flora and fauna, are fascinating, sometimes surreal. We had heard mountaineers’ stories of the beauty of Mt. Talinis. No tall tales here. They were right. It was not overrated. I was charmed by it. It holds most of the unique sights I’ve seen so far. Mt. Talinis, which overlooks Dumaguete City, is also known as Cuernos de Negros, or horns of Negros, It is the second highest peak in the Visayas at 1,903 meters. Mt. Ugo is where I really felt there must be a master gardener who painstakingly lays out these pine trees to create an amazing landscape. At the summit, where it is also very cold, major Cordillera mountains can be seen. The Mt. Ugo traverse takes two to three days of sometimes challenging trail passing through Indupit, Domolpos and Lusod Village. Mt. Ugo is close to my heart. This is where years ago, with friends, we decided to start a group to help needy children who live in the mountains. We called the group TREK or Trails to Empower Kids (www.trailstoempowerkids.com). While waiting at the jump-off point for our last team to arrive from Mt. Ugo, we relayed our intent to do something for the communities living in the mountains to Councilor Norberto Pacio of Brgy. Tinongdan. We were back a month after, on my birthday, in Brgy. Tinongdan to do an outreach program in Sitio Saybuan, a small community nestled in the mountains of Tinongdan. With the help of friends and some corporations, we were able to give the students books, backpacks, school supplies, raincoats, umbrellas and toys. It was such a rich and humbling experience that we decided to do similar programs, targeting children in isolated communities in the mountains that are either under-served or unserved. Our group is now on our fourth year and we have already conducted 10 missions in Benguet, Aurora, Kalinga, Apayao, Zambales, Pangasinan and Rizal, serving 16 schools with more than 1,500 students, bringing much needed aid, from construction materials of drainage system, comfort rooms to backpacks, raincoats, footwear, school supplies, food, vitamins, first-aid kits, toys and books. Benguet The mountain is as majestic as its namesake, and über beautiful. Mt. Kabunian is the most popular among the Bacun trio, and it is named after the highest deity in the mythology of the Kankana-eys. They believe that Kabunian resides in this mountain, so this is a very sacred place. Near the top, wooden coffins can be seen clinging on the side of the summit’s walls. We also saw some wild goats and a small forest fire. The view from the trail is expansive, the mountain breeze so cool. Bacun is far from Baguio, five to six hours ride on rented jeep, most of it on rough roads. The sight from the jump-off point is already magnificent that many who found the ride exhausting have been tempted to just stay here, have coffee and soak in the view. But for the hardy souls who leave the comfort of the village, the rewards are overwhelming. Mt. Batulao is a favorite weekend getaway. It is near Metro Manila. It is not so difficult to climb with its gentle slopes. It’s cool. 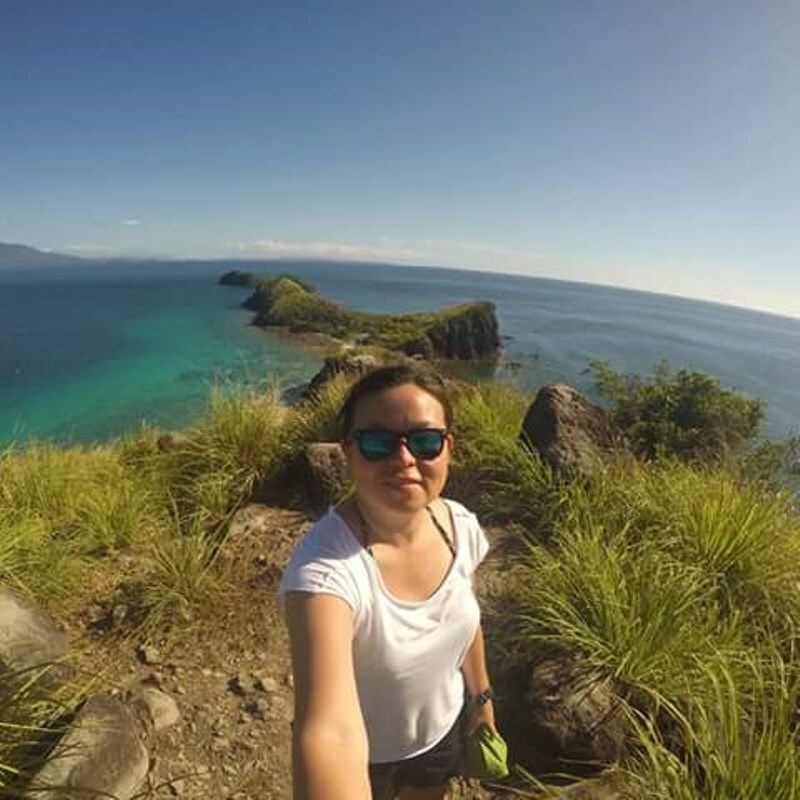 Yet, this mountain offers climbers a majestic view of Batulao’s beautiful rocky landscape, the plains of Cavite and Batangas, including the coastline and nearby mountains. This is the mountain I usually recommend to friends who want to try this hobby. The campsite has a nearby water source and a comfort room. Plus, it is a leisurely walk, compared to other mountains. This is considered a minor climb. Trekking to the campsite takes two to three hours only. It is such a wonder how earth’s fury can reveal such a tranquil and beautiful sight. The crater lake, with its white sand and serene blue lake, is actually the culmination of marvels. The trek along the white/gray mountains and the river is so different from what Filipino mountaineers are used to, and that is the green/brown trails. Of course the 4x4 ride to the jump-off point is an added adventure and attraction. The first time I went to Mt. Pinatubo, we had to trek for hours to reach the crater. Now, it is a leisurely 15-minute walk after the 4x4 ride, using what they call the “skyway,” with much of the trail and the view deck fixed. This popular Cavite mountain got its name from the parrot’s beak shaped like peak. This is my first successful attempt to reach the summit of a mountain. Back then, I was as green as the mountain. I had no training. My pack was bursting. I didn’t have enough exercise. I walked on a snail’s pace. Good thing my fellow climbers were very patient with me. I distinctly remember enjoying watching the stars when we arrived that night and gasping in awe the morning after at the view of the mountain and sea with the fog clearing fast to reveal the blue skies and the verdant terrain in front of us, with the seas of Batangas at a distance. Batangas The 10th is really difficult to choose because there are just so many beautiful mountains here in the country. Mt. Manabu is one of the summits of the Malipunyo Range. The summit of Mt. Manabu gives a spectacular view and is marked by a white cross. The charm of Mt. Manabu for me is the free homemade coffee being served all climbers by Mang Pirying, who lives in the hut midway. The first time I rested on Mang Pirying’s hut, I was too shy to take the coffee. I even asked my fellow climbers if I could pay Mang Pirying. Then, it became a tradition. Even if the weather is scorching, Mang Pirying’s hot coffee is a relief and the conversations are always good. Notes for those who want to get into this hobby. Training and finding the right group to climb with are über important. 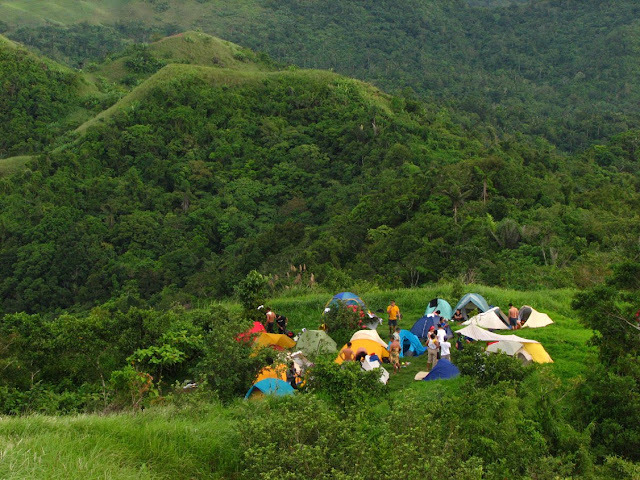 The Mountaineering Federation of the Philippines (mfpi.wordpress.com) or MFPI, an association of mountaineering clubs in the country and its member groups regularly conduct basic mountaineering course and climbs. Details are posted in different social networking sites. Hey this is great! the Famous Mountains of Philippines was reviewed here. Kudos to the author.